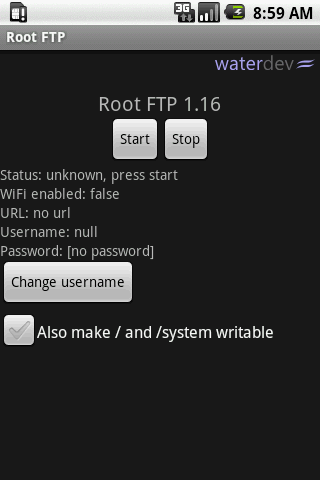 Overview: Root FTP Server enables you to access your file system over WiFi or USB. Unlike other similar products, it will let you make changes to any part of your device, for example to your data or system folder. You can of course access your SD card. You have to have a ROOTED device! For further details please visit http://waterdev.com/apps/rftp. 0 Komentar untuk "Root FTP Server v1.19 Apk"